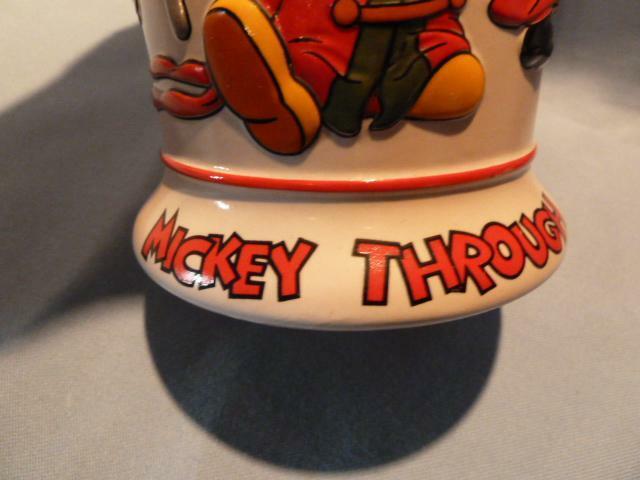 Rare Disney "Mickey Through the Years" Beer Stein made by Ceramarte of Brazil. 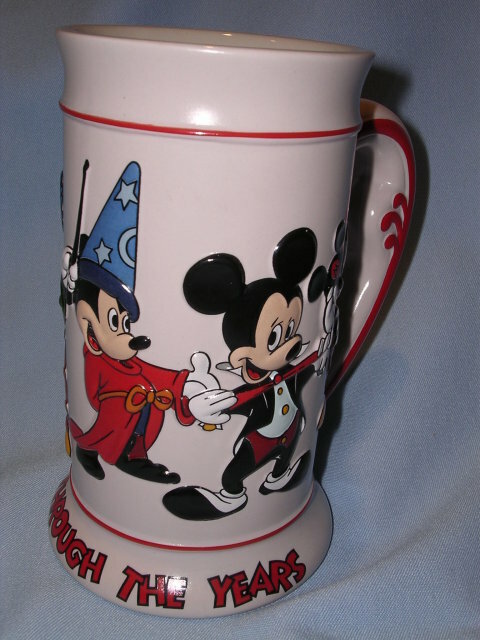 The stein or mug is 6 1/2 inches tall and 4 inches wide at the base and 5 inches wide including the generous size handle. 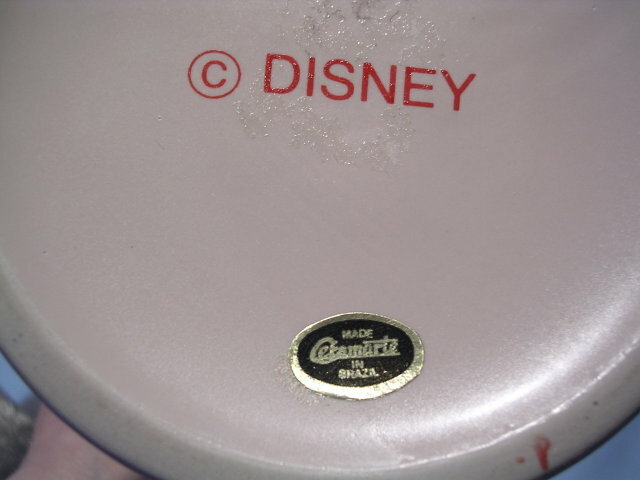 Features raised images of Mickey from origination to present. 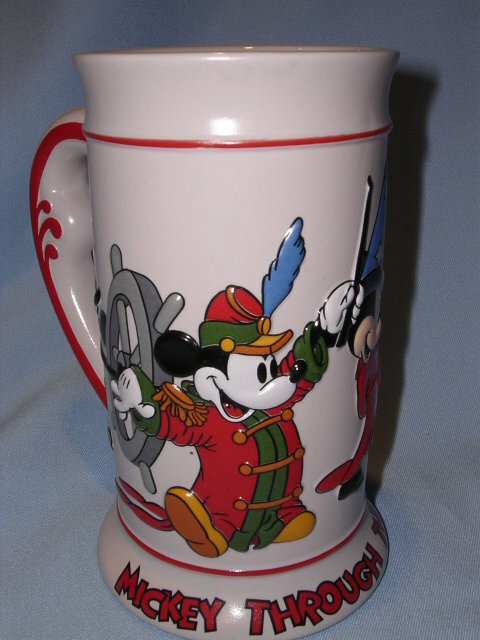 Stein is colorful, highly collectible and in mint condition with no chips, cracks or repairs. 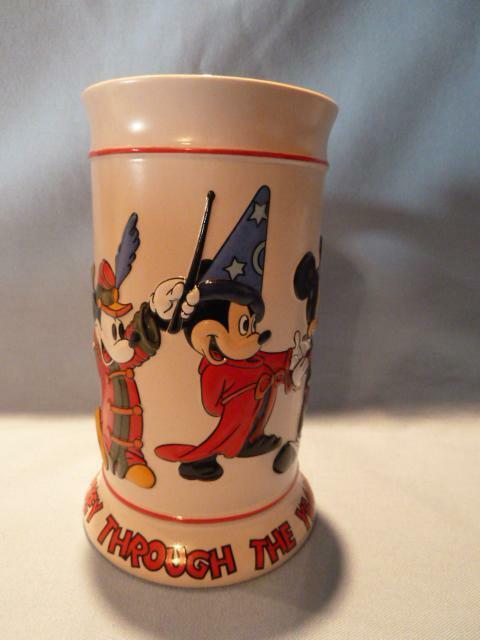 This stein was not sold with a box. 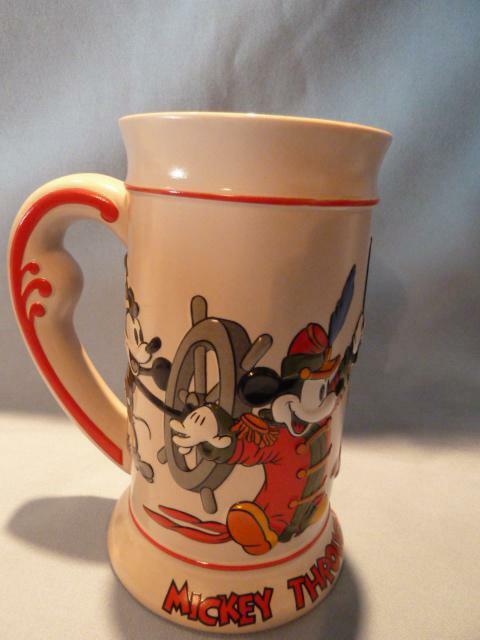 See our other listings, to include other fine collectible and antique steins. 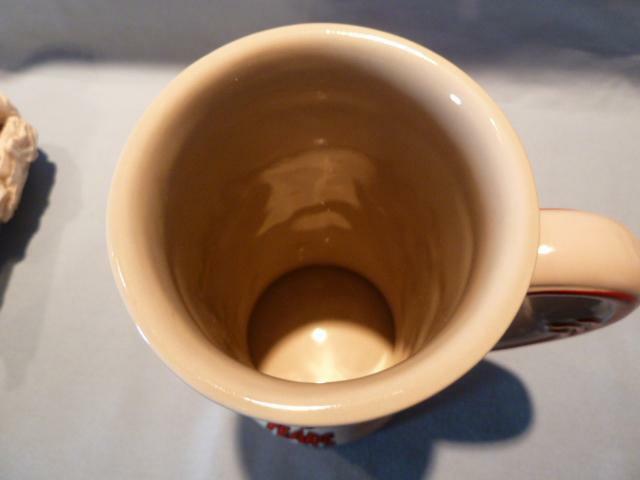 We are happy to combine items for shipping when possible. 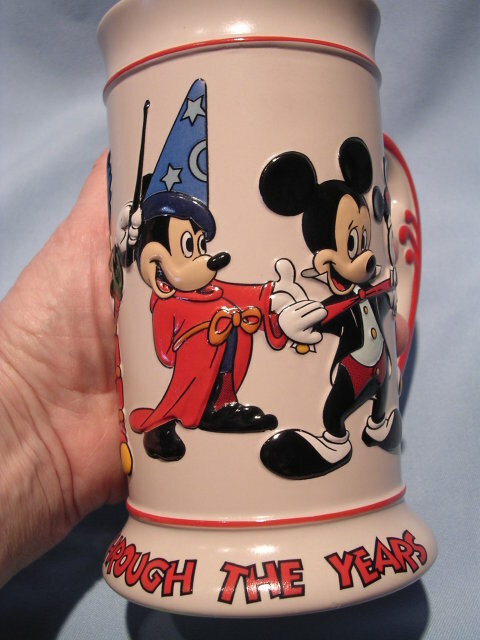 Items Similar To "DISNEY "MICKEY THROUGH THE YEARS" CERAMARTE STEIN"